Media outlets across the nation are covering back to school activities, including fresh marketing directed at children as young as five – when most start Kindergarten. Whereas some 80% of teens aged 11 and up have cell phones, many of which have smart phones, it is becoming common for ever younger children to carry phones too. Many parents feel reassured by being able to communicate with their children, no matter how young, to verify their safety and coordinate transportation home from school. However, that sense of safety is a false illusion. But does the average parent who does this even realize that studies have shown people who use cell phones before the age of 20 have a five times higher chance of developing malignant brain tumors? Do they know that the country of Belgium has banned all cell phones manufactured and marketed towards children age seven and under because the International Agency for Research on Cancer cited a potential increase in brain cancer risk back in 2011? Did they realize that the United Kingdom has told its schools to discourage students under 16 from using cell phones due to health risks citing a scientific report which states that children “have smaller heads, thinner skulls, and higher tissue conductivity than adults” so “they may absorb more energy from a mobile phone than adults”? Were they aware that the International Commission for Electromagnetic Safety has confirmed “the existence of non-thermal effects of electromagnetic fields on living matter” which includes “blood brain barrier changes, learning and behavioral effects, changes in anti-oxidant enzyme activities, DNA and biological damage”? Simply put, studies have already found that frequent cell phone use can increase your chances of a brain tumor, while the still developing skull and brain of a young child is known to be more vulnerable. Exposure to WiFi also poses risks. Is the convenience of the cell phone being weighed against its potentially serious health risks? Read more statements about the risk here. Neuroscience has come under scrutiny for its involvement in an array of mind control initiatives and other ethically questionable research. But at least one neuroscientist from Sweden has gone on record to caution against the increasing dangers of Electromagnetic Fields (EMF) on human beings and other living organisms, as you will see in the presentation below. Our modern world is creating an electromagnetic soup filled with electrical pulses, radio frequencies, computer screens, wireless signals, as well as personal devices such as cell phones and gadgets that are emitting damaging radiation. There are many peer-reviewed scientific studies which are drawing conclusions that should concern us all, but particularly young children and pregnant women. In fact, the debate is heating up to such a level that government agencies are even infighting over the matter, as evidenced when the Department of the Interior recently sent a letter with their own scientific papers chastising the FCC for using standards that are 30 years out of date. As the DOI stated, the concern is not only in the negative health effects upon people, but upon wildlife as well. 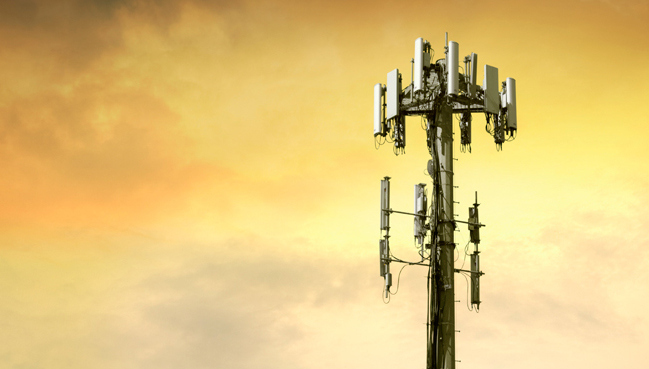 Please listen to Professor Olle Johansson, PhD as he offers a comprehensive view of the many issues surrounding EMFs, including an industry-wide attempt by telecom to cover up the negative consequences. His information is echoed by the recent reversal of a ruling in Maine which had everything to do with industry pressure and influence. Professor Johansson also addresses what we can do to protect ourselves and our environment from the impact of EMFs. Dr. Johansson is Associate Professor in the Neuroscience department of the world-renowned Karolinska Institute in Stockholm, Sweden. This presentation was filmed at a technical seminar on the Environment and Health in Barcelona, Spain. It is a key presentation, as he is speaking to medical practitioners, not only to a lay audience. Nevertheless, it’s a very straightforward and easily understood lecture. Particularly troubling is his opening sequence which recounts the long history of known negative health effects. He also asserts that all people are hypersensitive to EMFs and are being radiated in the classical way that we would think of as related to major events such as Fukushima. The health effects are long term – including DNA fragmentation – and also must be addressed as a cumulative threat. At the very least, Professor Johansson asserts, EMFs very easily can be linked to a growing number of allergies, and he urges us to re-evaluate the rise in allergic conditions in tandem with the rise in the use of electronic devices. Please share this information and help your friends and family make better informed decisions in a world of increased connectivity. Professor Johansson is no Luddite, but a concerned scientist who would like to see a full open debate based on the very troubling scientific health studies he cites. Dr. Hugh Taylor, a medical professor and chief of Yale’s Department of Obstetrics, Gynecology and Reproductive Sciences, co-authored a recent study to probe the impact of cellphone exposure on pregnancies. ‘We had pregnant mice in cages and we just simply put a cellphone on top of the cage. In half the mice, the cellphone was active and in half of the … cages the cellphone was turned off so it wasn’t transmitting a signal at all,’ Taylor said. Taylor said the researchers allowed the mice to give birth and waited until offspring were young adults before behaviors were tested. Taylor says the study shows there is a “biological basis” to suggest cellphone exposure can impact pregnancies. He says he is encouraging patients to be cautious with devices and recommends pregnant women hold phones away from the body. Cellphone manufacturers, including Blackberry and Apple, also say consumers should keep devices away from the body due to potential safety risks but these warnings often go unnoticed because they are featured in device manuals. Taylor is slated to join other global researchers on Monday for a panel discussion about the impact cellphone exposure may have on pregnancies. The panel has been organized by Dr. Devra Davis, who runs the non-profit organization Environmental Health Trust. Davis’ organization has been pushing governments around the world to take action on cellphone safety. The world now has almost as many cellphone subscriptions as inhabitants, according to recent numbers published by the UN telecom agency. In 2011, the World Health Organization’s cancer arm said cellphones could cause cancer and called for more research. Some other countries around the world, including France, have banned companies from advertising cellphones to children due to the possible risks.